A couple years after the publication of The Locals, I was contacted by a film director from Los Angeles by the name of Christopher Munch. He was interested in doing a fictional film with a sasquatch story line. He wanted to know if he could use some of the material I presented in my book. Specifically, he was intereted in the stuff about infrasound, habituation, and to a lesser extent, the accounts of goverment interest in the sasquatch. "Let me get this straight, Christopher," I said. "You are writing a fictional screenplay, and you want to know if you can use some of the factual information I report in The Locals." "Well, I don't think you need my permission," I replied. "After all, I'm reporting these things as facts. I can't sell you facts and I don't think you need anybody's permission to use facts in a story line. In any case, I love the idea that you wants to make a film with benevolent sasquatch in it, so I'd like to support you in any way I can. For starters, you can take anything you want out of my book. Don't even bother to ask. And if there is anything else I can do, just let me know. It sounds like my kind of movie." Chris explained that he was also in the process of scouting filming locations. He needed a logging operation, a river landscape denuded by a forest fire, a remote cabin, and some downtown shots. He planned to be in Portland soon and he wanted to know if I could suggest some locations in and around Portland that would be suitable. A month or so later, Chris and I took a walk up the Clackamas River to survey a recent forest fire that burned along one bank of the river. It was a rainy winter day and Chis liked the creepy, moss-draped look to the forest (see above) but the forest fire scars just weren't very dramatic. True that. The fire of the previous year had stayed on the ground and, athough a lot of the trees had their trunks blackened, very few trees had actually been killed in the fire. We retreated to the the rustic Stonecliff Inn Restaruant overlooking the river to talk about other possibilities. Chris explained that he was an independent film maker and he was working with a pretty limited budget (only a couple million dollars), and if he could find a single area that could provide all the locations he needed, it would really help control his costs. Moving an entire film crew from location to location gets really expensive. Chris added that he needed some shots of the Shakespear Festival that is held each summer in southern Oregon. Did I know of any locations in that area that might work. I told Chirs that there had been a terrible fire on the Illinois River in southern Oregon, and although I didn't know the area well enough to direct him right to the burned landscape, I did know a guy down there from my river guiding days named Greg Bennett. He was a lifelong resident of the area and he co-owned an environmental consulting business. Greg knows just about every bush in southern Oregon. I gave Chris his number and then I called Greg to warn him that he might get a call from a movie guy. Independent film makers are like novelists. There are millions of them and they all have projects that they are struggling to get funded. And, like novels, one in a hundred indie films actually get made, so I didn't get my hopes up of ever seeing a finished production of this film with the sasquatch story line. I'm no expert on movie-making but I still felt a film with a benevolent sasquatch would be a particularly tough sell. It's kind of a confusing topic for the mainstream public to wrap their head around. They aren't quite sure whether sasquatches are monsters or clowns, but the sasquatch had never before been portrayed as any kind of benign or mystical presence. And as we all know, most folks are don't even think they are real. I didn't want to be too negative, but I did warn Chirs that the costuming and make up on his sasquatch character would be very expensive, especially if he wanted to do a credible job of portraying a sasquach. I e-mailed back and forth with Chris a few times in the ensuing years. He confided that funding his project was indeed a struggle, as I feared. Beyond that, my own affairs kept me plenty busy and I didn't hear anything else from Chris about his film. I assumed the project was dead. So, imagine my surprise when I got a call from Chis last December, informing me that his project was nearly finished! In fact, he had looked up Greg down in Ashland, Oregon, and Greg was able to find him exactly the locations he was looking for. Better yet, Greg's first hand knowledge of the whitewater on the Illinois River and his background as a river guide was extremely helpful in shooting the scenes in which the female lead kayaks the rapids in the process of doing her hydrologic surveying. I was gratified to learn that Greg Bennett's detailed knowledge of the remote regions of southern Oregon was so helpful to Chris, who was now doing the final editing in preparation for the his upcoming debut at the Sundance Film Festival. It was all too amazing. An 'art house film' in which a sasquatch figures prominently in the plot was actually going to happen! What's more, my buddy Greg ended up being the key location scout, and he was so helpful in so many other ways that he was even given a small speaking part in the film! I couldn't wait to see this thing. Chris was kind enough to send me a working copy of the film for preview. "Letters From the Big Man" debuted at the Sundace Fim Festival in January, and although it did not win the festiveal, it got some very favorable write-ups including a lengthy treatment in the New York Times. Of course, I'm not very objective on this particular project, but I thought the film was absolutely fantastic. Not only did I get a kick out of seen my pal Greg's face in one of the opening scenes, but Chirstopher's portrayal of the sasquatch was like nothing that has ever been done before. For the first time in cinematic history, a sasquatch was portrayed as something other than a monster or a clown. Basically, Sarah Smith, the female lead played by gorgeous actress Lily Rabe, is a forest hydrologist who takes up residence in an isolated cabin and unintentionally habituates a sasquatch to her presence. At first she struggles to understand the mysterious presence that keeps to the shadows. After she comes to accept its presence, her struggle shifts to protecting the creatures from the prying eyes of her Forest Service colleagues and her duplicitous boyfriend. Make no mistake about it. 'Letters From the Big Man' is unlike any other film with a sasquatch character. It is a true first. For one thing, 'art-house film.' Wikipedia describes the 'art film' or 'art house film' genre as "a social realism style with an emphasis on the authorial expressivity of the director; and a focus on the thoughts and dreams of characters, rather than presenting a clear, goal-driven story." That phrase decsribes Christopher's film very acurately. What this does not describe is the first-ever New Age portrayal of a sasquatch with a sentient and wise forest presence. The New York Times reviewer called the film "willfully independent" and "decidedly eccentric" which is even more impressive when one bears in mind that film festivals like Sundance are veritable showcases of every 'independent' and 'eccentric' work. 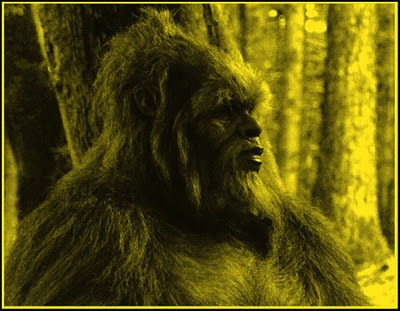 "His (Christopher's) Sasquatch is a more evolved creature with mystical communication skills. Such an interpretation might seem airy-fairy were it not rendered with such earnestness and filmmaking skill. This is clearly not a film made for everyone, but for a fortunate few, it will feel like a cleansing in nature." I can definitely relate to that. It sounds like Mr. Greenberg is speaking directly to the frustrated devotees of the the sasquatch phenomenon like me, who have long wished for a filmmaker who would truthfully portray a contemporary sasquatch image on the silver screen. Well, the wait is over. Now we have it. To finally see a film that portrays a sasquatch accurately is fantastic. I'm proud to have contributed in some small way to the production of this fine film. A friend of mine playfully berated me for referring Chris to somebody else for production assistance, thereby missing out on my big chance to have a hands-on role in the making of this important film. I don't see it that way at all. I'm proud to have helped Chris find Greg, who was able to locate everything Christopher was looking for. Greg even found a chopper and a pilot that enabled them to add some aerial shots of the breath-taking Illinois River canyon. I could never have done what Greg managed to do for Christoper and his film. And what a kick it is to see my old river guiding buddy from thirty years ago in Christopher's film. "You can accomplish anything if you don't care who gets the credit for it." Isaac C. Singleton as the sasquatch in "Letters From the Big Man"
I sent a copy of this post to Chirstopher. Perhaps even more interesting than this post are the comments by way of a reply sent to me by the man himself. I posted the 'letter from the big man' in the "comments" box below this post. Chronologically, even before I met you I had had an interest in filming in southern Oregon as I had been following the controversy surrounding the Biscuit fire salvage (this would have been 2004-2005). But I had assumed that it would be necessary to film closer to a larger city like Portland where there were more skilled technicians available. When I read your book and subsequently met you, you were tremendously generous in steering me towards information and people who had had experiences in this field. I really enjoyed spending time with you and only wished that I lived closer. You and Kirk Sigurdsen were responsible for instilling in me enough courage to think that I could possibly have experiences of my own. So even though at this point my first-hand knowledge of the subject was limited, I trusted your guidance implicitly and was bolstered by it in my own quest. As time went on, the particular landscape of the Kalmiopsis wilderness assumed a larger role in the story. With encouragement from the state film office and a south Oregon-based line producer, Gary Kout, I decided to try to make the production work in that part of the state. You had given me Greg Bennett's number previously and I finally got up the nerve to phone him. He was very cautious at first because the subject of the Biscuit fire salvage was still a sensitive one (three or four years after the fact) to residents of the Illinois River Valley. Nevertheless, he graciously agreed to meet me and helped acquaint me with the area. Over a number of trips, Greg and I had a chance to spend more time together and his assistance with the film became absolutely invaluable. There was other local support, too, that far outweighed any benefits the production might have enjoyed from being close to a larger city. Having said that, the logistics of lodging and feeding even our tiny crew became a big challenge. But it was a tremendously rewarding experience all around, and I continue to ponder all the gifts the film has brought me -- chief among them, a continuing interest in, and desire to understand more of, the phenomenon of the sasquatch people. I too am delighted a film has been made which portrays Sasquatch in a more realistic manner. And for all those people out there who clamor for "proof", or a Sasquatch corpse, I only pray it will never be. It is preferable for the mystery to remain and for Sasquatch to remain undisturbed in his & her mystical realm. We should not attempt to place such beings in a laboratory but must appreciate them for what they are: one of God's many wonders. Congratulations to all for bringing this right-minded project to fruition - I look forward to seeing the film! Christopher, I appreciate it's early days but do you think it's possible that the film will get a screening in the UK? Chris's film is the best out there in its unique genre. I loved its restraint in all of the right places, and its development in all of the right places. 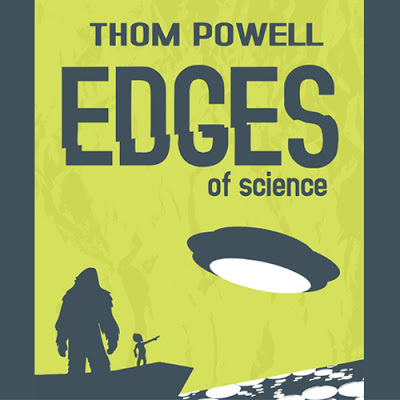 Such insight and "outsideness" (a term originally coined by HP Lovecraft in his essay "Supernatural Horror in Literature") is hard to come by these days in a world dominated by Hollywood macro blockbusters and micro faux-art kitsch flicks. After experiencing Letters from the Big Man one time, I was left with the desire to experience once more. Indeed, LFBM takes the viewer on a metaphysical journey that he can benefit from taking again and again, much like reading Walden or visiting the Nicholas Roerich museum in New York. I found myself pondering LFBM days after I saw it. Many of the interactions between Sarah and The Big Man continue to haunt with a Zen-like sense of outsideness. It goes without saying that Lily Rabe's visceral presence on-screen as she passed through some of the most beautiful natural settings ever put to film will help to make this film a cult classic. Thanks so much for your comment, Kirk. I really appreciate the thoughts. Best, Chris.